It is often said in the chiropractic profession that you don’t choose chiropractic – it chooses you. I would agree with that. Thank God I’m a Chiropractor, because I get the greatest joy from blessing others, the way I have also been blessed. I truly believe I have the greatest job in the world. Having been born into a chiropractic family, I have been privilege in being a patient my whole life. Watching my father and his uncle doing what they loved and helping others, I fell in love with the profession as well. I have always had a strong desire to help other people and chiropractic was just naturally right for me. So, my passion for health and my path to chiropractic has been a fairly clear one right from the start. After graduating from John Marshall High School in 1994, I imminently enrolled in College for my pre-med classes were I became truly fascinated with the health sciences. After about 3 years I was off to Parker College of Chiropractic in Dallas, TX in the fall of 1997. When I was there I met so many students and chiropractors who had experienced their own miracles from chiropractic… this was so exciting! During my years at Parker, some of my courses included heavy emphases on biochemistry, biology, x-ray diagnosis, chiropractic adjusting techniques, clinical diagnosis, human anatomy, physiology and patient care. After graduating in the fall of 2000, I returned to San Antonio to begin practice with my father. I regularly attend post-doctoral continuing education classes and keep abreast of the most current advances. My aim is to provide cutting-edge and the most comprehensive health care. In the last several years I have become certified in Applied Kinesiology where I studied under the founder Dr. George Goodheart, along with specialized training with Dr. Wally Schmitt and Dr. John Bandy. In 2004 I also received my certification in the Brimhall technique and studied the work of Dr. Lebowitz which has allowed me to offer my patients the broadest range of holistic health care possible. Currently I am studying under Dr. Jeff Spencer, the sports chiropractor of many professional athletes including Lance Armstrong. 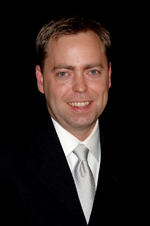 He is mentoring us on accelerated injury healing and advanced programs using the Erchonia Cold Laser. I am also attending Active Release Techniques seminars across the country and several nutritional courses which are part of the Applied Clinical Nutritional Licensing Program. I am indebted to those doctors that I mentioned above as well as my father. Without their genius understanding and teachings, I would not be where I am today. Our practice is focused on maximizing the health and well-being of every individual and their family through a holistic approach. We strive to identify the underlying causes of disease and treat these underlying causes naturally, quickly, and with long-lasting results. In our office we see a variety of patients from toddlers to people enjoying retirement, from top athletes to weekend warriors seeking to optimize their sports performance. We pride ourselves on our level of patient care and the service we provide. I feel privileged to play a role in helping my patients reach their true health potential so that they can actively enjoy their quality of their lives. 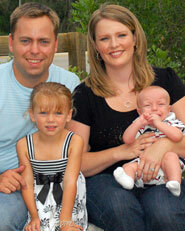 Dr. Owen, wife, Jennifer, and kids, Mackenzie Elise and Blaine Patrick. When I am not in the office, I try to spend as much time as possible with my wonderful family. My wife Jennifer and I have been married since 2003, and we have two amazing children, Mackenzie Elise born Feb 2005 and Blaine Patrick born in April 2008. Many weekends find me playing with them at Sea World, Fiesta Texas, or at any local park. I do enjoy dropping the kids off sometimes at Grandma’s and enjoying a nice quite dinner and a movie with my wife. My hobbies also include hiking, golfing, fishing, hunting, or going down to the beach or local lakes. I also love to cook, especially when I can get my hands on some great recipes. Personally, I get adjusted at least once a week and have been under chiropractic care since the day I was born. The Chiropractic and Wellness lifestyle is not something we just preach, it’s something my family and I practice. We all have regular chiropractic treatments, as well as taking our vitamins and regular exercise, to help maintain optimum health. I am very fortunate to be in a profession that I love. I know my patients appreciate me and their greatest compliments are their referrals. Thanks for visiting our site. I look forward to meeting you in person and learning how we may be of service to you. Give our office a call, or email me using the link below and let’s arrange a time to explore your options.